Real Madrid coach Zinedine Zidane has claimed that Gareth Bale can help Wales beat England at the Euros. He believes that the midfielder can bring inspiration to the whole team and assist them to achieve something great at the tournament. The former French midfielder has stated that Gareth Bale has been in excellent form this season and that it is natural that he will go on and become a star at the Euros. He said that one player cannot make a team but that a single player can surely inspire others. He believes that he will be the one that will inspire Wales to beat England at the Euros. Real Madrid star, Sergio Ramos says his team mate, Gareth Bale, is unstoppable. This comes ahead of the team’s UEFA Champions League match against English side, Manchester City. The Wales centre forward returns back to England for the first time as Real Madrid dream of their 11th Champions League title. Gareth Bale joined the Spanish club for a world record fee of 85 million Pounds in 2013. This season, the talisman has 18 goals form 26 games to his belt. Real Madrid captain, Ramos, says the player is unstoppable due to his frightening form. Real Madrid’s superstars have flown into Manchester ahead of their Champions League encounter with Manchester City. The club goes into the game with a doubt for star player, Cristiano Ronaldo but he stopped to sign for fans and showed no signs of the injury – a thigh strain – that kept him out of Real’s weekend clash with win against Rayo Vallecano as a precaution. Karim Benzema and Gareth Bale, with real injury scares recently, were also present. Benzema limped out of Madrid’s 3-2 win over Rayo Vallecano at the weekend, leaving coach Zinedine Zidane waiting to see if he will be fit to play. “Here, of course, he has experience of playing against Manchester City, many of their players, and at their stadium. “But in a game like this it can be about a bit of individual quality, which he is more than capable of producing. “The attacking players we have are very special, but we defenders are going to have to do a big job in Manchester,” Ramos added. Gary Neville was recently sacked from his managerial role in Valencia. Under the guidance of the English manager, Valencia went through a string of 9 winless league matches and this was hugely influential upon the eventual sacking of Neville who only managed to stay in charge of the Spanish club for a little over 3 months. Even with this recent sacking of Neville from Valencia, Gareth Bale believes that Neville will be able to pick himself up and bounce right back as the Welshman voiced his thoughts in relation to the sacking of the English tactician who had a very underwhelming managerial spell with Valencia. “It is obviously difficult coming to Spain anyway and being a manager where you really do have to be vocal and speak the language. It is obviously a difficult situation but I felt given time he’s shown how much he knows about football and it is obviously a shame he’s been sacked. I’m sure he’ll bounce back from the experience and it will stand him in good stead for the future.” Real Madrid’s Gareth Bale said. Gareth Bale and Gary Neville both went through a similar thing in the sense that both football figures went from working in the Premier League and went to the Spanish league. Valencia is the first club that Gary Neville has taken charge of but even though it wasn’t a very memorable time for Neville, Bale is certain that the English manager will learn from it and take charge of another club and improve from there on out. Former Tottenham manager Harry Redknapp believes that Manchester United can become title challengers once again if they bring in Gareth Bale back to the Premier league. The former Tottenham star is currently with Real Madrid, but it appears that speculation about a return to the English league will never go away. This is largely because Cristiano Ronaldo has continued to dominate the headlines even though Bale is being played in a much more forward role. Bale missed out on being nominated for the FIFA Ballon d’Or award shortlist whereas Ronaldo was for yet another year. Angel Di Maria reckons Argentina needs a tall man in the attacking line in order to be more aggressive and win the games by much bigger margins. There has been a bit of criticism of late that the Argentineans are not able to dictate terms even when they come up against weaker oppositions. In the currently going Copa America competition in Chile, Argentina took on Paraguay to start their campaign and could only manage a draw. And, then, versus Jamaica, they won by a slender margin of one goal. In both those games, they were expected to be more dominant as they have some big names on the paper. On April 18, Real Madrid secured their 25th La Liga victory of this season with a final scoreboard of 3-1 but this victory came at a hefty cost for the team of Carlo Ancelotti as Gareth Bale had to be removed from the pitch at the 5th minute as he was replaced by Javier Hernandez at the early stages of the game. The medical staff of Real Madrid is now reporting that Bale might have to stay on the sidelines of the team for up to 3 weeks and this will be leaving the Welshman unable to play in the upcoming crucial matches of Real Madrid as they have to play against: Athletic Madrid, Celta de Vigo, Almeria, Sevilla and Valencia in the next 3 weeks. Karim Benzema, Luka Modric and Gareth Bale are the regular starters of Ancelotti which have been picking up injuries recently and the Italian coach will have to find a solution to this recent injury wave that has been affecting some of his key figures. 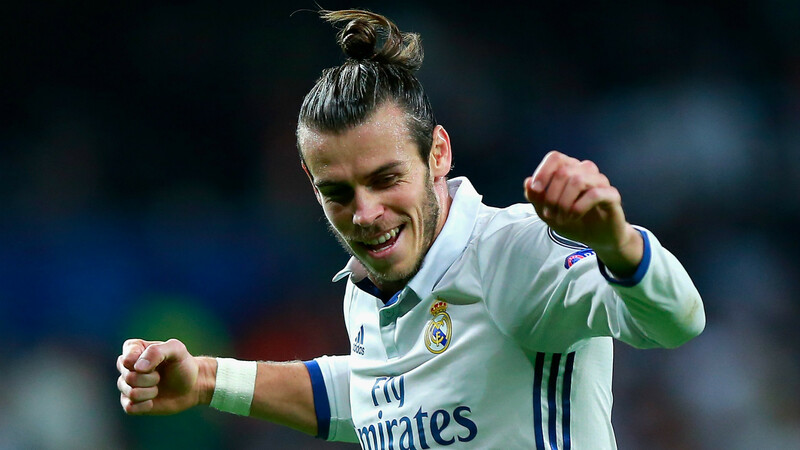 Manchester United target Gareth Bale has confirmed that he does not intend to leave Real Madrid – despite the intense speculation – in this January transfer window or in the summer. The Real Madrid boss Carlo Ancelotti has said that there is no player in the world who can play better than Marcelo at the full back position. It completely contradicts the statement that the Selecao manager Dunga had made about Marcelo the other day. Dunga had said that Marcelo did not have the right kind of approach during the World Cup this year and his recklessness cost Brazil dearly in the all important semi final game against Germany. According to Dunga, rather than doing his job i.e. to keep the opposition attackers at bay, Marcelo has the tendency to try and move forward all the time and in order to do so, he leaves a hole at his position. But, Ancelotti does not think that there is anything wrong with Marcelo’s approach as defender. The Blancos manager has, in fact, put the 26-year old right up there in the list of full backs. The previous manager of Brazil i.e. Luiz Felipe Scolari had faith in Marcelo and he had started with him in most of the games in the World Cup. But, since the time Scolari has been replaced by Dunga, Marcelo has not played even one game for his country. The coach of the Wales national football team, Chris Coleman has cleared up all the rumors that were being launched concerning whether or not Gareth Bale was going to be featured in the Euro 2016 qualifying match against Andorra which will take place on September 9. Not too long ago, Carlo Ancelotti told the public that some of his players cannot perform at the optimal level if they play on an artificial pitch and Gareth Bale was one of those players that he mentioned. Chris Coleman has gone on saying that if Gareth Bale is fit then he will play against Andorra. When Wales completes their match against Andorra they will also be locking horns with Bosnia-Hercegovina and Cyprus on October. All of these are qualifying matches for the 2016 Euro’s which will be hosted in France. Along with Gareth Bale, the Arsenal midfielder Aaron Ramsey has also been selected in Chris Coleman’s 23 man squad that are expected to play from the beginning of the match as they are some of the more recognized players in the team and that are playing in high pressure leagues and clubs such as: Real Madrid and Arsenal. Wales was pitted in Group B of the Euro 2016 qualifying rounds and the group consists of: Andorra, Cyprus, Israel, Belgium, Wales and Bosnia-Hercegovina. While some clubs have been going through a really busy transfer window, the same cannot be said for Tottenham who have not sold any of their players and only had Jake Livermore entering the club. Mauricio Pochettino took over the managerial position at White Hart Lane as he replaced Tim Sherwood but so far it seems like he has had a very quiet transfer window which is disappointing considering that the supporters of the Premier League club want to battle in the European tournaments in the next season as well as make a charge at the top of the English league. On August of 2013, Tottenham offloaded €26 million in order to sign Roberto Soldado from Valencia but the Spanish forward has failed to live up to his price tag as he only managed on scoring 6 goals in 28 league appearances. The Togolese forward Emmanuel Adebayor had a much better campaign as he scored on 11 occasions but even though it’s a larger amount of goals, Tottenham are still in need of a consistent striker that the squad can depend on. Loic Remy is in the radar of Tottenham but they will face competition from Arsenal as well as having to convince QPR on letting him go to direct rivals in the Premier League. The defensive division of Tottenham is another segment that has been shown weaknesses throughout the entirety of the previous season as Tim Sherwood had find a make shift left-back position player between Danny Rose who was usually injured and Jan Vertonghen as the Belgium centre-back could never really adjust playing in the left-back position. A number of other significant problems have stopped Tottenham on reaching for higher spots in the Premier League but with the arrival of Mauricio Pochettino, supporters started to believe that there was hope but with such a quiet transfer window, doubts are starting to emerge once more.